Released on April 27, 2015. Dirt Rally is a racing video game focused on rallying. Players compete in timed stage events on tarmac and off-road terrain in varying weather conditions. 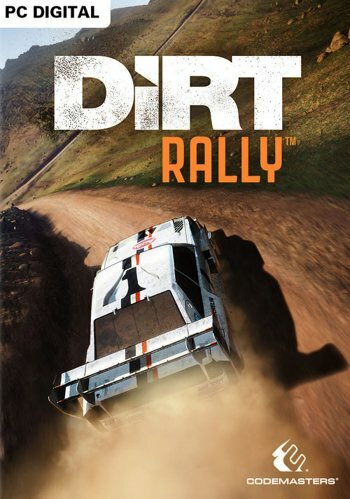 On release, the game features 17 cars, 36 stages from three real world locations, and asynchronous multiplayer. Rallycross and player versus player multiplayer modes are planned. Janis Lusis loves this game. Lajos Gabos loves this game. Klemen Golmajer loves this game. Ger Mitchell loves this game. Claudio Giura loves this game. Nigel Oldale loves this game. Janos Szucs loves this game. Ezequiel Elizeu loves this game. Angel Munoz loves this game. Hassan Raees loves this game. Nathan Lemaster loves this game. Max Marvin loves this game. Why? It’s an awsome off-road racing game. I love watching it on youtube and would love to have my own copy. Filip Rožić loves this game. Amal S Kumar loves this game. Robert Blair loves this game. Why? This series continues to be a great experience and fun to play.